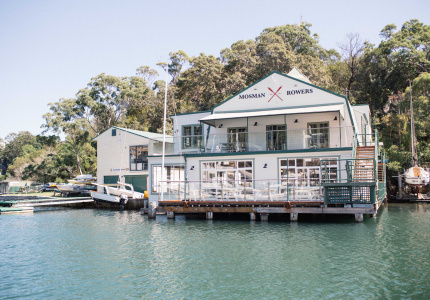 Four pubs, four huge makeovers. Pull up a chair. 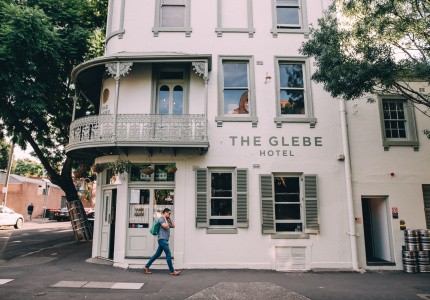 Restaurateur Maurice Terzini (Icebergs) believes the recent revamp of Sydney pubs has eased the monopoly publicans have had for years. 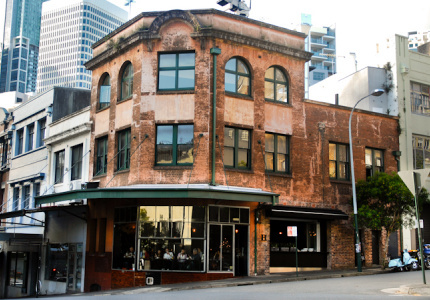 “Pubs can no longer afford to serve antiquated drinks of bad quality, or food that doesn’t focus on the most basic principles of quality, sustainability and good cooking techniques,” says Terzini, who this year acquired and reopened Surry Hills’ Dolphin Hotel. 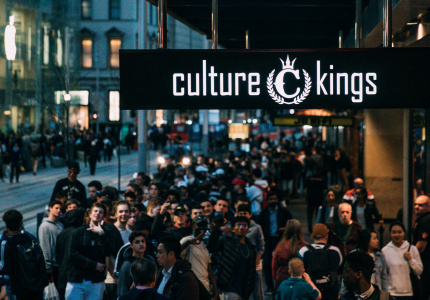 When Terzini took over the Crown Street institution one thing was clear: big changes were afoot. He hired Sydney architect George Livissianis (The Apollo, Cho Cho San) for the makeover. He collaborated with artists such as Beni Single and Tracy Deep along the way. Today’s Dolphin is a far cry from the space it was. It’s split into four distinct new areas: a bar, a wine room, an upstairs lounge and a loud, open and contemporary dining room with a raised wood-fire pizza oven. 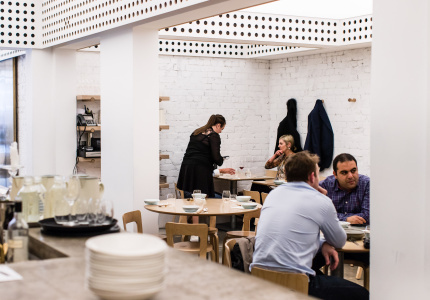 The kitchen is split between offering bistro-style fare and modern Roman pizza. 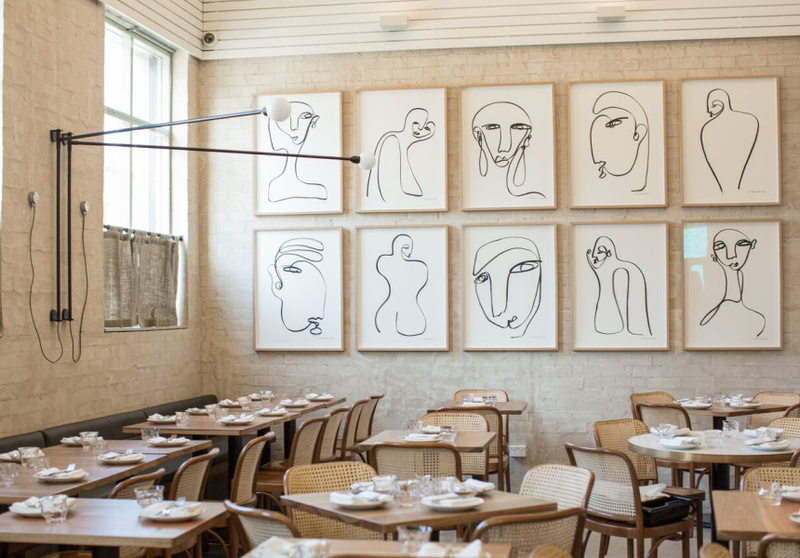 “The refurb of the Dolphin Hotel started with product before design,” Terzini explains. 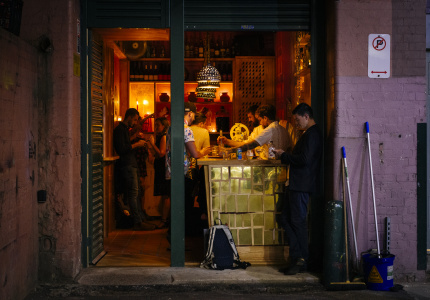 This included removing the “death gun” (post mix) and introducing good ice, quality spirits and organic wines, which are housed in climate-controlled surrounds. “It’s really not a big ask to make a good G&T,” Terzini says. This lower-north-shore behemoth is best known for its enormous courtyard under the shade of its namesake tree. 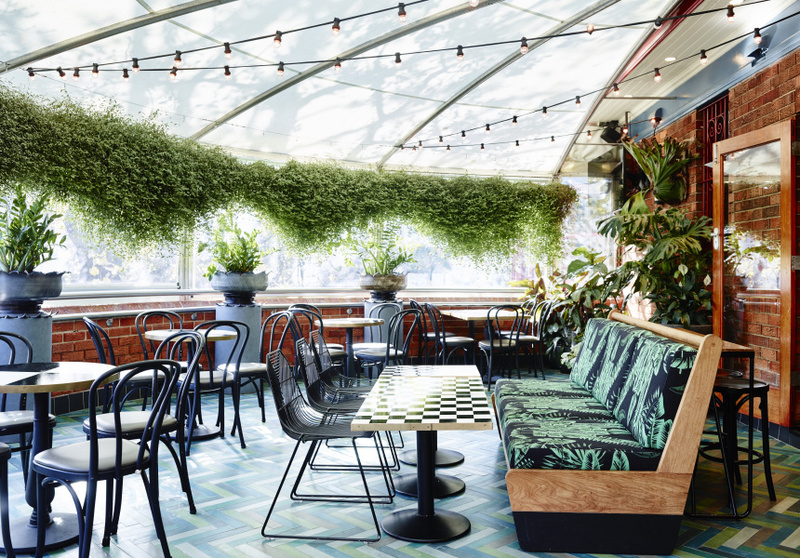 The Oaks has welcomed three new Art Deco spaces upstairs, styled by local designer Sibella Court and her team at The Society Inc. A covered outdoor terrace features a huge amount of greenery and checkerboard tables. 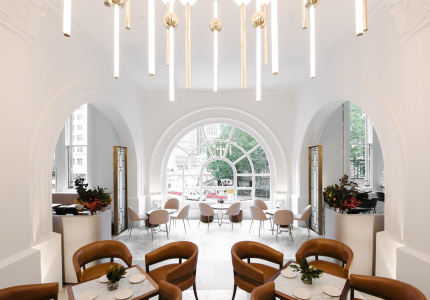 Inside, custom-made copper globes are suspended on a pulley system over a curved bar, and drapery has been used in abundance. There’s even a red, tented “psychic chic bar” (it doubles as a make-out den) dressed with leftover curtains from the Hydro Majestic hotel. The walls of the poolrooms have been resurrected with gaudy murals that pay tribute to artists such as Sonia Delaunay and Clarice Cliff. The new spaces are bold, in a Baz Luhrmann kind of way; vintage furniture with bright prints and sofas with mirrored bases. The Oaks encourages private bookings in these new spaces. John Azar from The DOG’s new owner, The Good Beer Company, wanted to bring the pub up to speed with today’s high food and beverage standards. 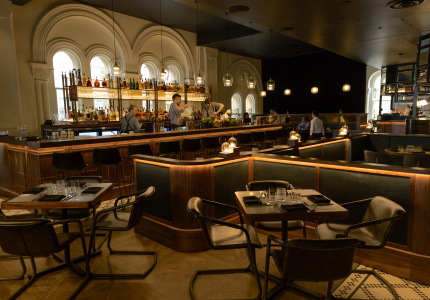 There is the 170-seat French-American Duke’s Bistro on level one, and three different kitchens to service the Public Bar. 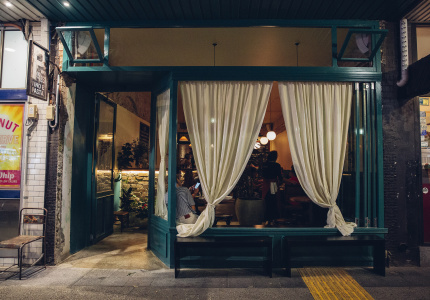 At the French-leaning Duke’s you can sit at the large communal chef’s table and share duck rillettes with pickled cauliflower, lobster medallions and beer-brined chicken cooked on the rotisserie. If this all sounds a bit too refined for a pub with a strong rugby-league legacy, don’t worry – there are a couple of steak options, too. 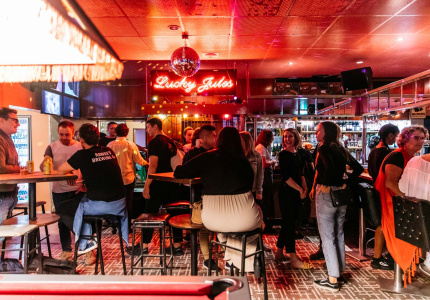 The DOG is still a crowd-puller for big footy games; it might have something to do with the 59 taps of craft and local beer pouring at any one time. 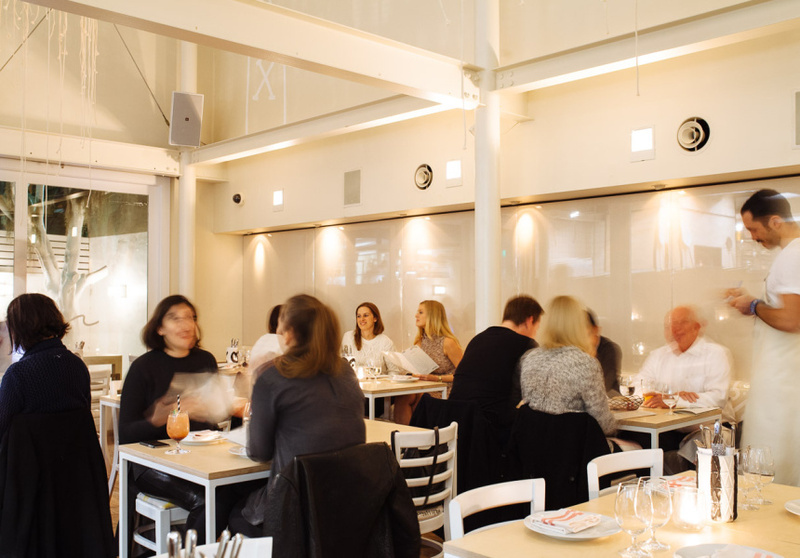 Following in the footsteps of its Oxford Street neighbours, The Imperial and the Merivale-acquired The Paddington, the Paddington Inn re-opened last month with a fresh, smart-casual look and a sharper food focus. Anna Solomon, creative director of Solotel Group (which owns the pub) worked with George Livissianis (The Dolphin) on the design; they favoured dark, heavy materials in the front bar to mirror the living rooms of traditional Paddo terraces. New head chef Justin Schott’s (Rockpool, Kitchen by Mike) a-la-carte menu, which can be ordered at the sit-down area out the back, focuses on provenance; there’s chargrilled Fremantle octopus, grilled fennel and spicy nduja (a spicy, spreadable pork salumi); and an 850-gram Rangers Valley rib-eye. 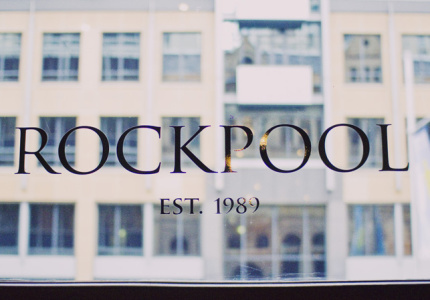 In the front bar the casual bistro vibe has been honoured – you can order jaffles; burgers; and fish and chips until late. 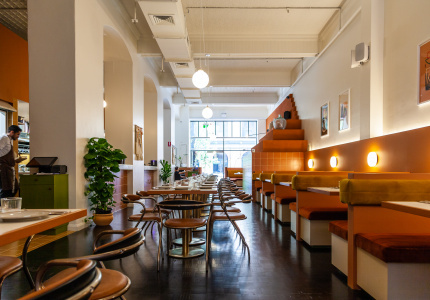 There’s also a solid selection of aperitif-style drinks that use small-batch Australian spirits, and a wine list celebrating low-intervention drops with a strong NSW contingent.